Now the largest fire in California's recorded history, the Thomas Fire has burned over 280,000 acres, significantly altering our local mountains. More than 180,000 of those acres are within Los Padres National Forest, which includes the front country trails behind Montecito and Carpinteria. The combined effect of fire damage and subsequent flooding has posed some of the biggest threats our front country trails have ever faced. Join local trail expert and author Ray Ford as he discusses current trail conditions and closures in the mountains above Montecito and Carpinteria. Ray will be sharing his firsthand knowledge of Cold Springs, Hot Springs, San Ysidro, Romero, and Franklin Trails and will provide an overview of the damage these trails sustained, as well as the challenges that lay ahead before these popular trails can be reopened to the public. 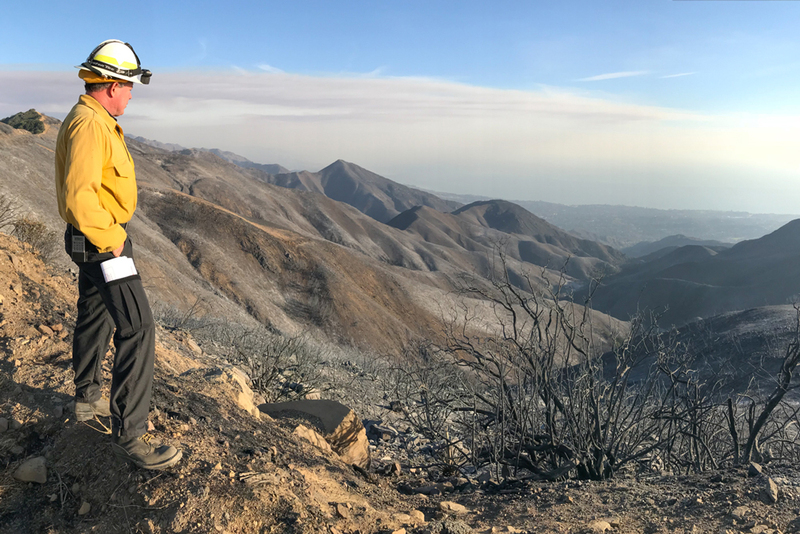 Ray will also provide an update on the Tequepis Trail, which was burned in last year's Whittier Fire and remains closed to the public. The talk is FREE and part of the ongoing Wilderness Hiking Speaker Series hosted by the Santa Barbara Public Library. The talks are the third Thursday of the month and feature topics related to hiking, backpacking, and our local natural history.